Bicycles in big cardboard boxes have a tendency to get dropped, bashed or crushed by delivery companies, which spurred Dutch manufacturer Vanmoof into action to find a solution. 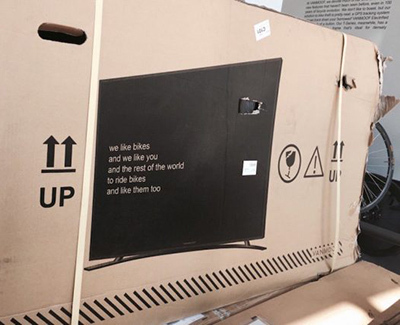 Instead of putting a picture of a bike on the box they printed a picture of a large flatscreen TV instead and saw instances of delivery damage drastically reduce. Thanks to Conrad Gempf for the link. Jointly developed by Apple, Google, Microsoft, and Adobe, a variable font is “a single font file that behaves like multiple fonts”. A single font file gaining an infinite flexibility of weight, width, and other attributes without also gaining file size. The OpenType font file specification now includes a new technology: OpenType Font Variations, which allows type designers to interpolate a font’s entire glyph set or individual glyphs along up to 64,000 axes of variation (weight, width, etc. ), and define specific positions in the design space as named instances (“Bold”, “Condensed”, etc.). For fonts to actually show up anywhere, a rendering engine has to make typesetting and rasterisation calculations. Rendering engines are complex, and will need to be developed before Variable Fonts become viable, along with browsers and design software to support the rendering engine. I’m writing from deep in the Nyungwe rain forest in southwest Rwanda. 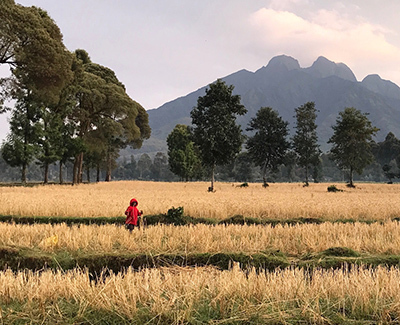 We’ve been tracking gorillas in the north, boating Lake Kivu in the west, and running through tea plantations in the south — all with the iPhone 7 Plus in hand. Alternating between wide (28mm) and telephoto (56mm) lenses has fundamentally changed the way I see and shoot with my iPhone, including landscapes, wildlife, and people. The 2x zoom is an especially great upgrade for portraiture. It works exactly as I hoped. It is super quick to switch between lenses, even while you are rolling video. In terms of quality, I found the the 2x zoom lens to be equally as sharp as the iPhone wide-angle. However, I do not recommend the digital zoom beyond 2x. The quality of digital zoom degrades quickly and I find it unusable for photography (although it’s actually kind of nice as an animal spotting tool). The 2x works in ALL modes (photo, video, time-lapse, slo-mo, and even pano). The iPhone 7 features a completely redesigned camera system with a faster f/1.8 lens which leads to better auto focus, a better ability to freeze motion, and shallower depth-of-field. I also noticed an improvement in the the dynamic range of the sensor. Budnitz Model E is the lightest electric bicycle in the world (13kg). The twin-tube single-arc cantilever frame is crafted from 3AL 2.5V titanium alloy. Geometry is tuned for exceptional lateral stability, minimising energy loss as you pedal. It flexes in just the right places to absorb the shock of gravel, curbs and rough pavement without a clunky front suspension. Also available in 4130 Cro Moly Steel. 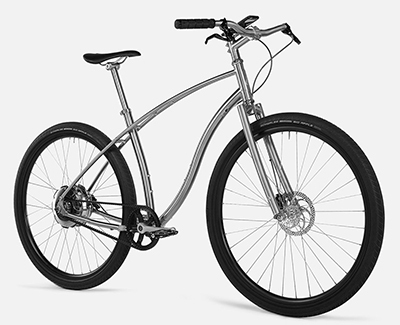 Model E pairs a Gates Carbon Belt Drive with a Zehus Bike+ 250W electric rear hub. Motor, sensors, and 30V L-ion 160Wh battery are sealed within the high polish aluminium rear hub. The entire drivetrain is free of oil, completely protected against rain, grit and road debris and virtually maintenance free. It provides electric assist up to 15 MPH for a range of 20-100 miles. Coast downhill or pedal backwards to return power to the hub. Use bluetooth interface to control multiple modes and power output. Integrated slope sensors offer more support on hills and a hub locking feature adds additional anti-theft security. 'Early Bird' prices start at £149.